At Classic Triumph Sports Cars we have a large collection of petroliana. 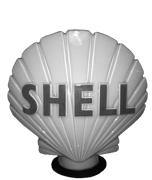 As the name suggests, petroliana relates to collectibles from the petroleum industry, so any historic items to do with oil companies, gas stations, vintage petrol pumps etc all come under that name. The most popular time period for collectibles is the 50's but even earlier items are becoming increasingly popular. The last few years has seen an increase of demand and values which in turn, attracts more and more collectors to snap up every original they can get their hands on. Our stock can be viewed on the automobilia section of our website but if you cant find what your looking for please get in touch as we cant add all of our stock to the site. All of our automobilia has been collected over a number of years and is somewhat of a passion of ours. 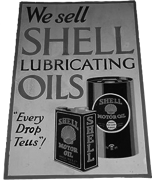 Visit the automobilia pages here.